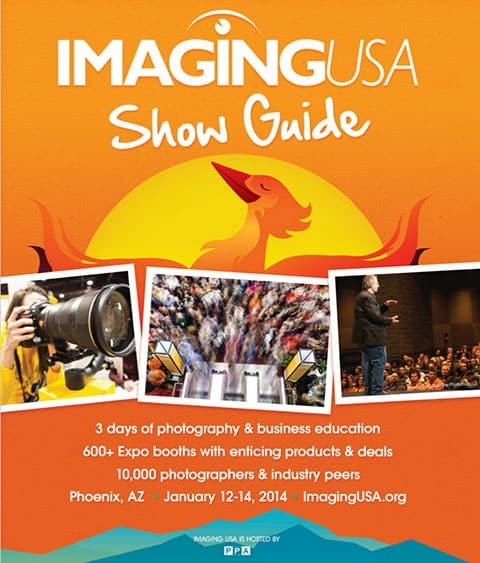 Do you plan to be in Phoenix for Imaging USA next week – January 12-14? If so, be sure to come by booth #938 and check us out! The ShootProof team will be there to share how we help photographers increase sales, while simplifying the proofing, buying and fulfillment process with their clients. For free 3-day trade show passes, compliments of ShootProof, register here. If prompted, enter code SHOOT14. Come by our booth (#938) to see live demonstrations of our online galleries, new Mobile Apps, one-click digital downloads, speak to team members and take advantage of the fun giveaways and learn about our current available deals. Additionally, if you are interested in switching to ShootProof from a competitive service, we’ll also make it easy to do so at the show, by giving you credit for any amount you have already paid to the competitor for any remaining time in your plan. Read more about our Competitor Match! The Imaging EXPO is also a great opportunity to check out our US lab partners, who will be exhibiting and displaying their beautiful products: Bay Photo (booth #833), Black River Imaging (booth #1317) and ProDPI (booth #317). In addition, check out one of our newly added partners – Tave, which provides studio management solutions for photographers (booth #1633).